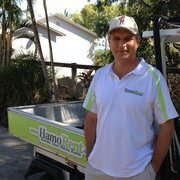 HamoRent is one of only a few companies on Hamilton Island that can cater for all your needs when it comes to Property Management. We are based on Hamilton Island so consider ourselves hands on with all aspects when it comes to looking after your property. Our aim is to make sure both owners and guests are always happy and satisfied with our service and services offered. Advertising and Marketing in many forms like radio, sponsorship and engaging in social media. Manage bookings with our "live" website and other major accommodation websites. We utilise the latest website technology and have an integrated cloud based reservation system that is second to none, accessible by anyone at any time. Manage a trust account and financial records in accordance with all requirements set by the Office of fair Trading. Assist using our expertise with all arrangements in regards to bookings- over the phone, with sms, via email and in person. Offer assistance to guests with regards to tours and organising special occasions. Preparing the apartment ready for you or your guests arrival. Offering a personal meet and greet service. We offer mid stay cleans for guests along with other extras. On Call for guests on island 24/7. Organising the departure of guests and arranging late check outs whenever possible. Cleaning the apartments to the highest of standards. Offer decorating assistance and with your approval purchase items that may need replacing or upgrading. Our full time handy man carries out free regular maintenance checks. We attend any maintenance issues that arise. We then arrange tradesman if need be. Manage the cleanliness, servicing and maintenance of your golf buggy. Encourage open and honest communication. Be available for you to contact 24/7. Maximise your occupancy by Co-share bookings should you choose to list your property with other booking agents or take bookings yourself. Limiting the amount of properties we take on means overall higher occupancy than our bigger competitors and enables us to better manage our listings. Have a small team that have all been with us for a number of years and are all available for you to talk with. Check out "Our Team" page for who we are and our individual talents. Constantly strive to improve and offer the best competitive options. We are your on island team that take pleasure in making life easy and enjoyable for owners and guests alike. We are your one stop shop for everything in Property Management on Hamilton Island. We understand that your house or apartment on Hamilton Island is not only a significant financial investment but also your home away from home. Our high level of repeat guests and referrals is a testament to our ability to deliver and provide what holiday makers are looking for. The result… a well managed holiday home. Here is some kind words from one of our owners. Bruce and I would like to wish you a very happy Christmas and an amazing year ahead. We would also like to thank you so very much for your excellent management of our apartments. 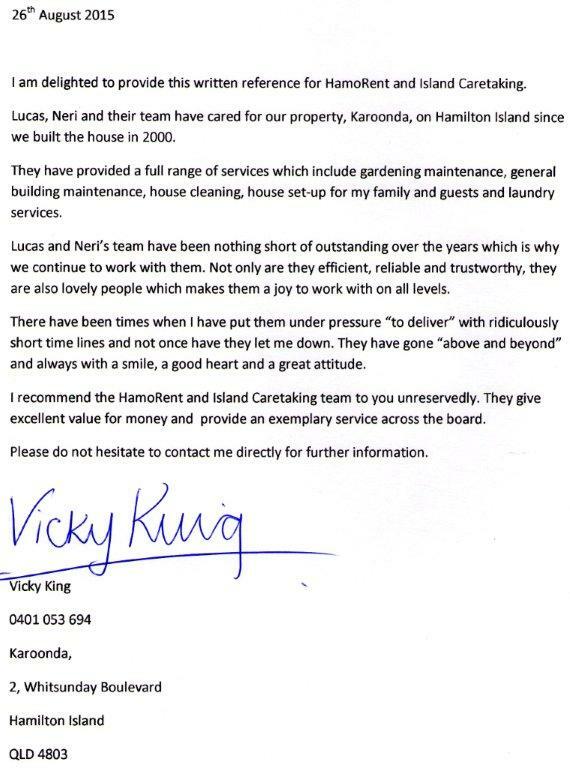 You give us so much peace of mind with your professionalism, your attention to detail, wonderful communication and just being very nice people to deal with. These last few months with you have been a godsend, so from the bottom of our hearts ---- Thank You so very much!!!!!!!! To you all our warmest Christmas greetings, we hope you and your families have fun and that the New Year brings much good health and prosperity to everyone!!! It is our pleasure to introduce you to Lucas, Neri and their team at Hamorent. Although we’ve owned properties on Hamilton Island for the past 18 years, Casuarina Cove was our first holiday rental . At the time when we were considering purchasing Casuarina Cove, our family took a trip up to Hamo and stayed at the unit allowing us to check out not only the unit from a guest’s perspective, but also the existing management company (Hamorent). During the process of arranging our booking through Neri and Lorri to the hands on approach of Lucas and Cherry, our visit from start to finish was flawless. The unit was obviously well maintained and spotless – all the attributes we were hoping to find. So, we bought the unit and did not hesitate to utilise Hamorent as our property managers. During the four years we have owned the unit and dealt with Hamorent, we can truly say the feedback we’ve received from our guests has always been extremely positive toward Hamorent. From an owners perspective, Lucas and Neri ensure every aspect of us owning a holiday rental property (from securing bookings, payments, guest liaison, property cleaning and maintenance) is easy and stress free. More importantly, every time we have asked them for some advice or asked them to help us with something over and above, they have always happily helped us. We truly appreciate everything they do and it’s always a pleasure to deal with them. We would not hesitate to recommend Hamorent as a property manager – both from an owners and guests perspective. Have a house, apartment or villa and are looking for a caretaking team to look after it? Currently we look after a couple of private houses and a handful of larger complexes on Hamilton Island. We have a full time gardeners for your pool and gardens maintenance as well as offering our cleaning services to prepare your home for yourself, guest or just regular upkeep. 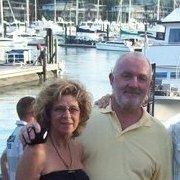 Carol and David began their small family business on Hamilton Island in 2001. Being 1 of the first to do so, they watched the island grow to the successful community it is today. David is still on island liaising with guests while Carol is in and out of apartments making sure they are presented at their best. Having been a long term resident on Hamilton Island, Lucas started with caretaking and looking after the pools on the island. With his parents business growing so rapidly he moved into the office and took over from his parents so they could enjoy the lifestyle. Cherry has thrived to work within the tourism industry and has travelled gathering many experiences. Previously working for the world renowned Intercontinental Hotels Group and in Banff Canada as a supervisor, she has become an asset leading our on island team. 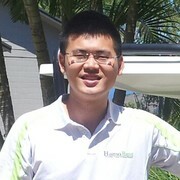 Originally from Taiwan Shane has travelled with Cherry also gathering his experience in housekeeping and the tourism industry. He is a dedicated team member who prides himself in all aspects of his role and apartment presentations. Always willing to help out when needed. Neri first came to Hamilton Island in 1998. Returning again in 2004 and then in 2010 she has gained a wealth of knowledge in all aspects of tourism from all over the world. Having completed qualifications in Tourism and becoming the manager of Harvey World Travel in Port Hedland as well as receiving her real estate certificate in 2009 Neri is in the office and offers all the support and knowledge you may need with your booking or property management. Introducing our Reservations Expert Lorri. 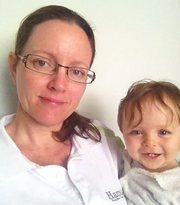 Lorri has been in and out of tourism for many years and worked in various roles all over Australia. 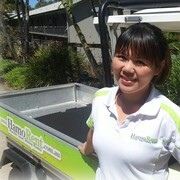 She is bubbly and helpful and always willing to make your holiday dreams on Hamilton Island come true. To maintain our high standards we only employee qualified or experienced staff. Although we have no current positions available, we are always happy to keep your cover letter and resume on file for when something does come up. Do you have an apartment that you would prefer to list permanently for employees, staff or residents? Lots of people contact us for longer more permanent leases. We are happy to list your property here. Just email us all the details and we’ll get in touch.